The snow storm you see in the background of this image had shut down the main route into the higher elevations of the park. I decided to stay in that evening and set up my tripod from the deck of our cabin. 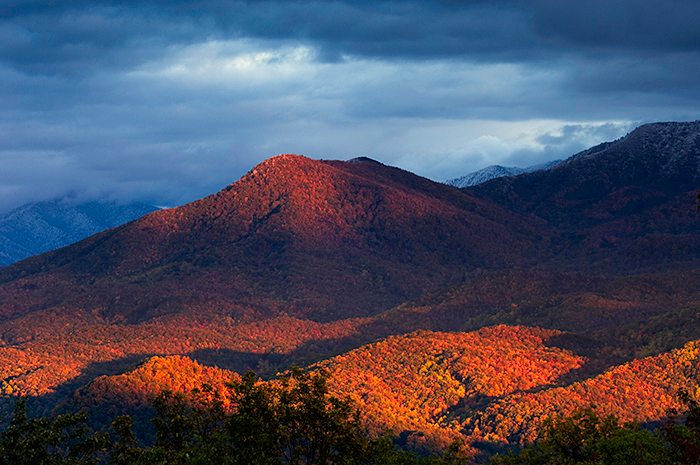 A break in the clouds came near sunset, bathing the fall foilage in rich light as the snow continued in the distance.